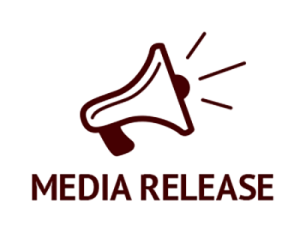 (Toronto, ON) – KAIROS Canada is pleased to announce that the Regina-based RCMP Academy will use the KAIROS Blanket Exercise to train all cadets beginning December 5, 2017. 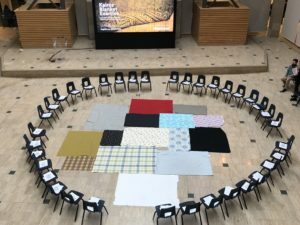 The KAIROS Blanket Exercise is a unique participatory history lesson of Canada told from the point of view of Indigenous peoples. 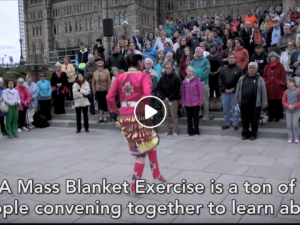 Developed in response to the 1996 Report of the Royal Commission on Aboriginal Peoples, which recommended education on Canadian-Indigenous history as one of the key steps to reconciliation, the Blanket Exercise covers more than 500 years in a one and a half hour participatory workshop. KAIROS Blanket Exercise participants adopt the roles of Indigenous peoples in Canada. Standing on blankets that represent the land, they walk through the eras of pre-contact, treaty-making, colonization and resistance. They are directed by facilitators representing narrators and the European colonizers. Participants are drawn into the experience by reading scrolls and carrying cards which ultimately determine their outcomes. In 2016, the RCMP introduced the KAIROS Blanket Exercise to its members in Alberta and Ontario. In Alberta, the RCMP “K” Division included the exercise as one of four cultural training options for RCMP officers and employees. The interest in the exercise led to a meeting between KAIROS and the RCMP to include it as part of the training that all cadets receive at the RCMP Academy in Regina. On December 4, KAIROS led RCMP Academy instructors in the exercise as part of their training to introduce the exercise to cadets. “Instructors agreed after completing the exercise that it will be a great tool to further educate and engage cadets in Indigenous history,” said Nathalie Fehr, the Curriculum Designer at the RCMP Academy. KAIROS is a faith-based social justice organization of ten Canadian churches and religious organizations. 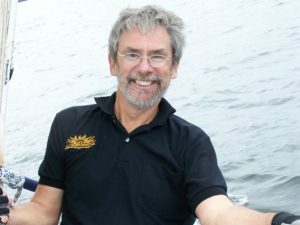 It focuses on Indigenous rights, international human rights and ecological justice. We deliberate on issues of common concern, advocate for social change and join with people of faith and goodwill in action for social transformation. Learn more: www.kairoscanada.org.